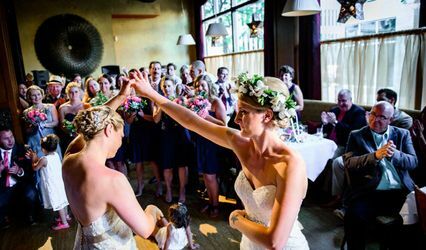 Your Wedding is one of the most memorable and wonderful days of your life and we will personally guide you through every step of the way to make these memories truly special. 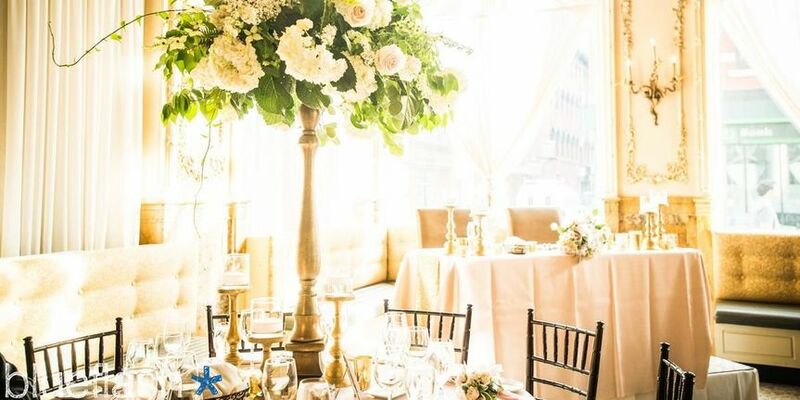 As part of The Dorrance experience, we offer a passionate group of experts to ensure a seamless event from start to finish. 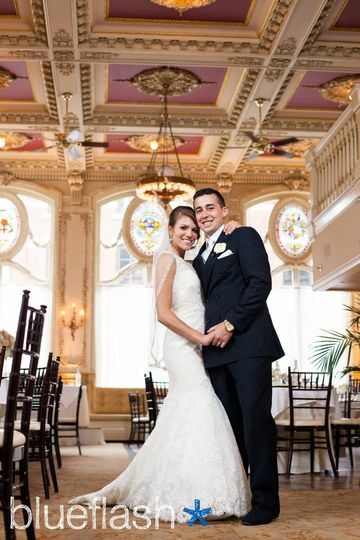 Our talented team includes your own personal wedding planner, the very best of traditional as well as cutting edge cuisine and a polished bar and wait-staff who are dedicated to the fine art of service and hospitality. You have already chosen this majestic space, now it's time to design your dream menu - from the elegant ease of a carving station to a multi-course fine dining degustation, we will assist you in creating a menu guaranteed to fill your heart's desire. 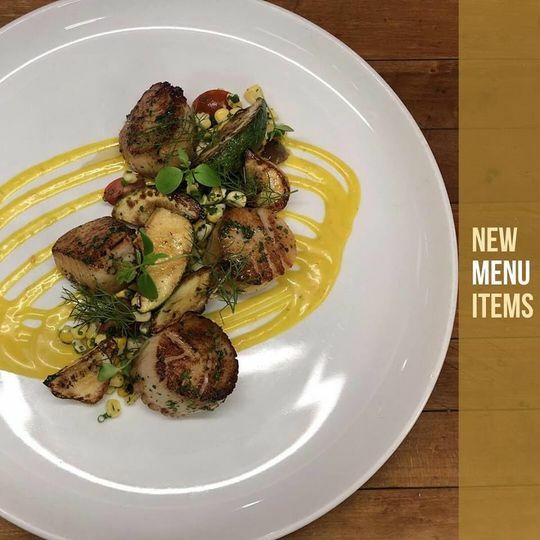 In addition to our various menu selections, we will be delighted to create a menu that is within your budget and also honor any and all special requests. 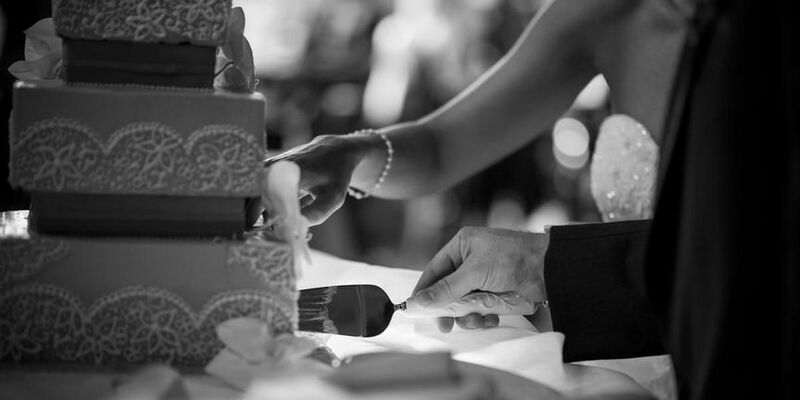 We're looking forward to making your Wedding a truly memorable event. 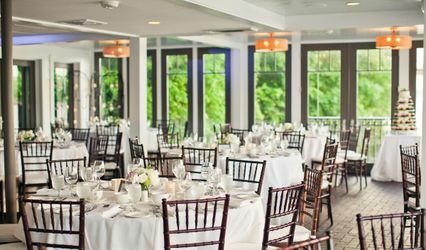 A venue with everything you need! I love The Dorrance. 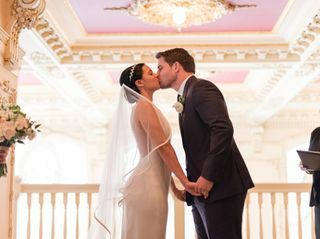 The owners and their staff did a phenomenal job organizing my wedding. I didn't realize how much of a one stop shop it would be and how responsive and genuinely kind they are. I have been bragging about them every since! 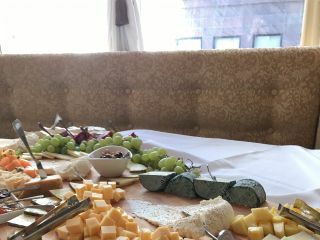 Thank you so much, The Dorrance! 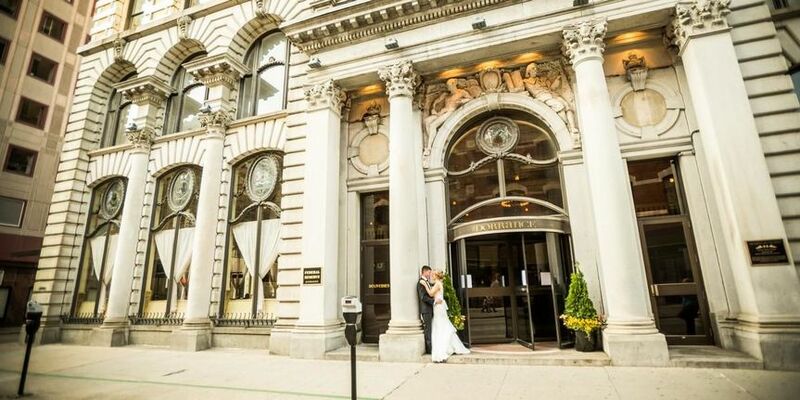 The choice to have our wedding ceremony and reception at the Dorrance in September 2018 was hands down the best wedding planning decision we had made. There has been a common theme in our guests feedback - the building was gorgeous, the food and drinks were delicious and the service was fantastic. No one waited hungry during the cocktail hour, everyone loved their dinner and the bartenders kept drinks flowing. 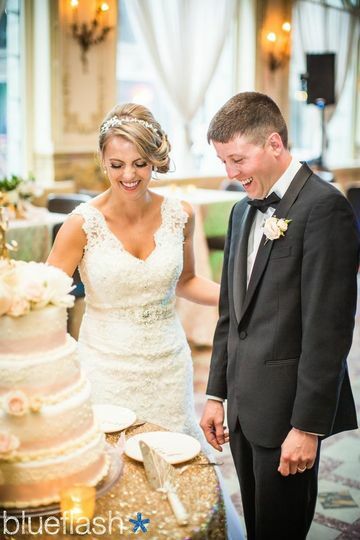 The quality of the food and drinks far exceeded any “typical” wedding fare. The menu to choose from is expansive and was able to be customized to fit all of our requests and needs. 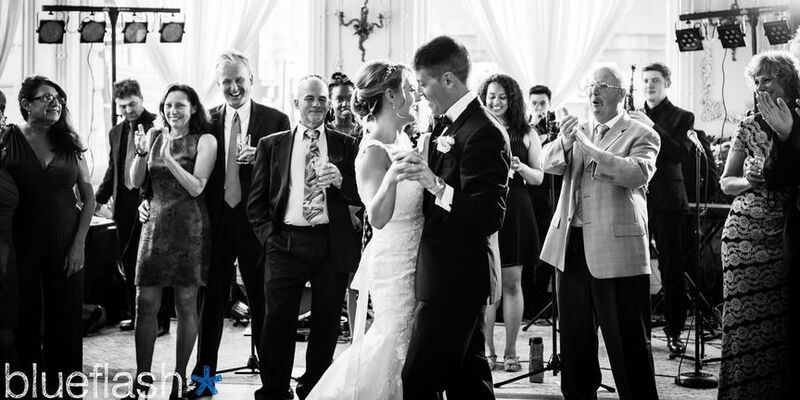 From a brides perspective, Lindsay was my lifeline in the time leading up to our wedding. I must have emailed her a million times and she always replied expediently and fully answered every question I could think of. 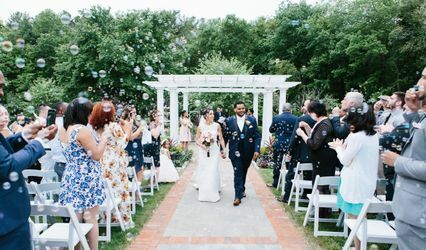 She coordinated everything from the ceremony and reception timeline, day of details like table numbers/place cards, and all the vendors coming in which was so amazing- I didn’t receive a single call with questions the day of because it was all handled. You are in such good hands with Lindsay as manager, I can’t sing her praises enough. Thank you so much for all your hard work Lindsay! Jean felt like my bridal fairy godmother day of. 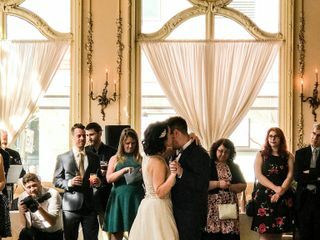 She helped me collect my emotions right before walking down the aisle and managed us throughout the night making sure we could eat and enjoy whatever food or drinks that we wanted. She told me that I’d have nothing to worry about on the day of and made good on that promise. We were going to Uber back to our hotel at the end of the night but Jean took the time to pack up her car and drive us- we can’t thank her enough! The team they have working at the Dorrance is so top notch. By the time we left it honestly felt like we had been working with family. 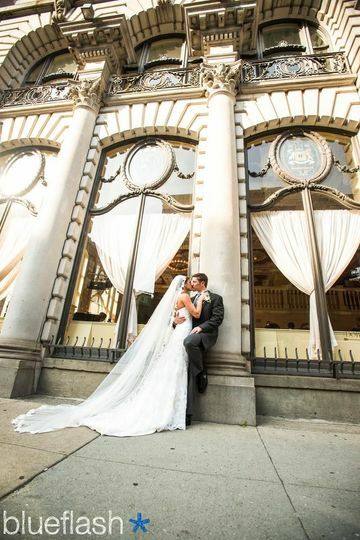 The beauty of the venue speaks for itself but the people inside it are what made our wedding as special as it was. 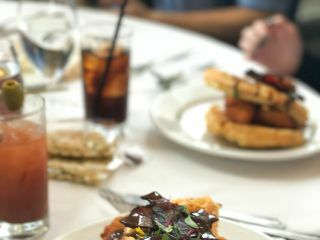 You will not regret booking with the Dorrance. 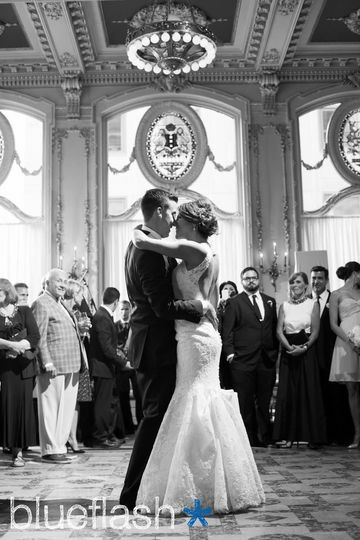 The Dorrance was the most amazing venue we could have wished for. 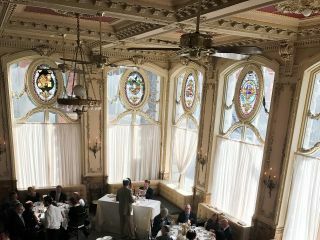 Besides the fact that it's stunning inside, the food is to die for (definitely not what you think of when you get "wedding food") and the service is amazing. Lindsay, the manager, was amazing every step of the way. They took care to ensure my groom and I had time to eat, spend time together, and fully enjoy our day!